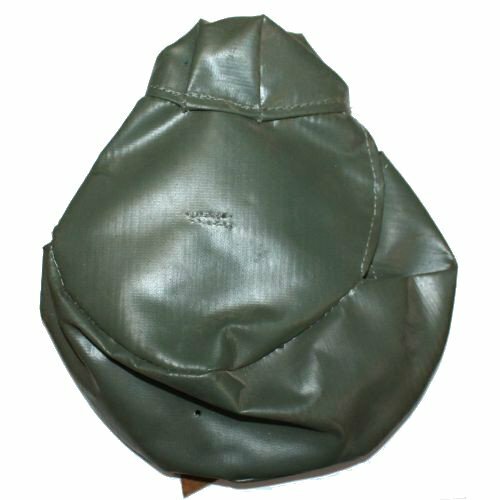 Canvas and Leather Pouch for European AK47 75rd Drum Magazines. These are original Eastern block pouches in new unissued condition. Due to the age of these pouches, expect to find storage marks. 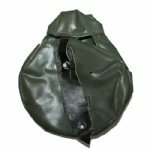 "AK 75 round Drum Pouch"
Product Review: I bought 2 of these. Both are used and still in usable condition. I am pleased and will probably add more to my collection. If you want new perfect condition pouches best wishes and good luck. 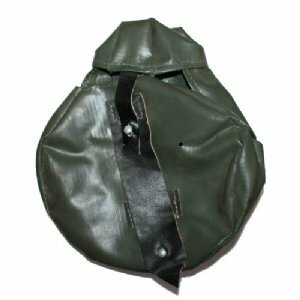 For a good used condition and still usable pouch for your 75 round AK Drum magazine I recommend these as I have tested both of the ones I've bought here and they still function as designed.